Abstract: The Upper Silesian Coal Basin (USCB) represents a typical foreland basin developed during the Variscan orogenic phase of the Late Carboniferous. Later, during the Alpine orogeny the Outer Western Carpathian nappes were thrust over the post-Variscan foreland, to which the USCB belongs. Due to this complex tectonic history, redistribution of stress fields occurred in the post-Variscan basement. Furthermore, post-Variscan denudation processes probably also contributed to recent stress regimes. Nevertheless, the impact of the West Carpathian orogeny can be regarded as the most significant influence. 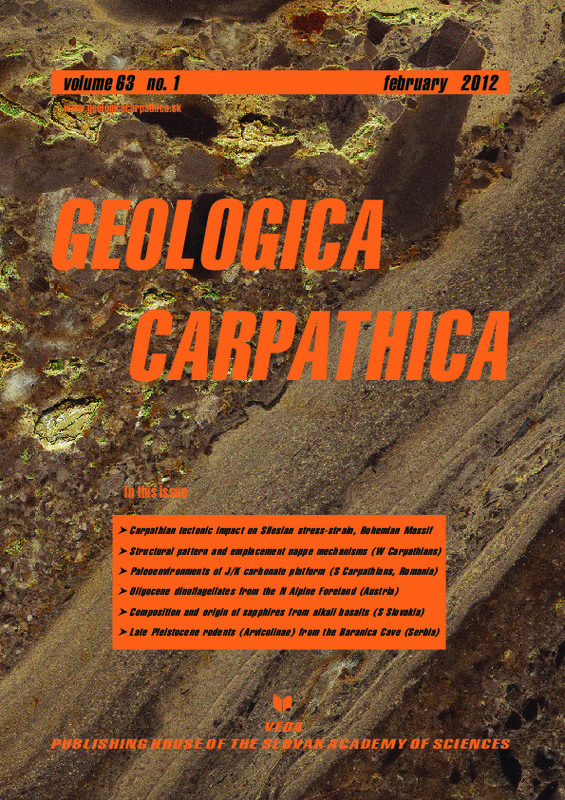 The in-situ measurement of recent stress fields in deposits of the Karvina Formation of the USCB and structural analysis of the Czech part of the USCB, has focused on verification of the structure and stress interference of the Carpathian nappes and post-Variscan foreland basement. In the southernmost part of the Karvina Subbasin, the easternmost domain of the USCB, situated in the apical zone of the Variscan accretionary wedge, hydrofracturing and overcoring stress measurements have been recorded in coal seams from selected coal mines. The data have been supplemented by interpretation of focal mechanism solutions of mine induced seismic events. Measurements of recent in-situ stress regimes in the Karvina Formation of the USCB indicate a dominant generally NW–SE orientation of the maximum horizontal compression stress. The results demonstrate that the stress-strain regime in the Karvina Formation in the Variscan Upper Carboniferous basement is significantly influenced by the stress field along the Outer Western Carpathian nappes front. Besides improving our understanding of recent regional stress fields within an area of mutual structural-tectonic interference by both the Variscan and Alpine orogenies, the measured data may contribute to more optimal and safer mining activities in the coal basin.